Catholic Schools Work. While this might be stating the obvious to some, the Catholic Schools Office is working with a new advertising agency to make sure audiences around the diocese get the message loud and clear. 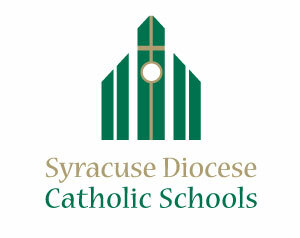 This tagline is at the heart of a new marketing campaign for the 22 schools of the Syracuse Roman Catholic Diocese. Last year, Catholic Schools Superintendent Christopher Mominey and his team, which included Director of Communications and Assistant Chancellor Danielle Cummings and Catholic Schools Marketing Consultant Caroline K. Reff reviewed proposals from several reputable advertising agencies. The goal was to find a fresh approach to effectively marketing diocesan Catholic schools as a unified system with outstanding educational opportunities. They found the right fit with Stew Koenig, president of Koenig Advertising/Public Relations of Syracuse, NY. The Koenig team went to work developing a new logo to represent the diocesan schools as a unified system. 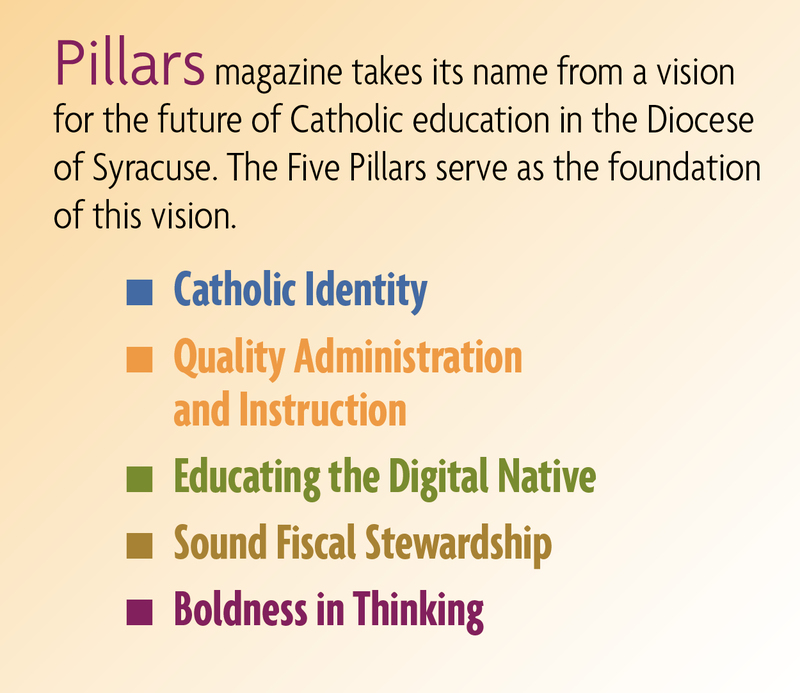 After careful consideration, a design was selected that incorporated Mominey’s “pillars” of Catholic education concept, while also integrating a cross to clearly represent the Catholic identity of the brand. A second step was to develop a media campaign to market the schools and draw new students. In August 2012, Koenig introduced a late-summer registration campaign with humorous radio spots and online advertising that drove potential families to the diocesan website for information. Reaction was positive, and, according to Mominey, seemed to factor into an increase in enrollment just before school opened in September. The bulk of the campaign, however, focuses on the traditional late-winter/early-spring registration period beginning with Catholic Schools Week. Koenig has developed a movie-trailer-themed television spot, complete with a booming announcer’s voice and video clips of Catholic school students. The spot is tailored for the three markets diocesan schools serve and emphasizes the “Catholic Schools Work” message. Television advertising will be complemented by online ads, billboards, radio commercials and other marketing opportunities. Submitted by Inkwell Creative Services, Syracuse, NY.